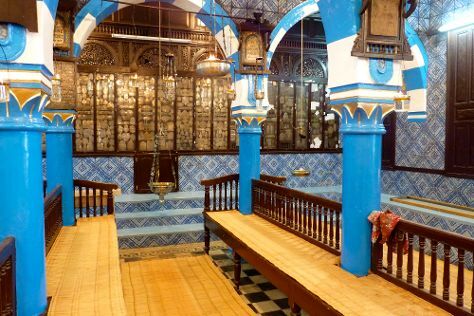 On the 7th (Fri), take an in-depth tour of Musee de Guellala, then contemplate in the serene atmosphere at Jama Fadloud (Mosque), then stroll around Krokodilfarm Animalia, and finally contemplate in the serene atmosphere at El Ghriba Synagogue. To see other places to visit, where to stay, traveler tips, and more tourist information, refer to the Djerba Island trip planner. Mexico City, Mexico to Djerba Island is an approximately 21-hour flight. You can also do a combination of bus and flight. The time zone difference moving from Central Standard Time to Central European Time is 7 hours. Prepare for somewhat warmer weather when traveling from Mexico City in June: high temperatures in Djerba Island hover around 36°C and lows are around 25°C. Finish your sightseeing early on the 7th (Fri) so you can travel to Sousse. On the 8th (Sat), take an in-depth tour of Sousse Archaeological Museum, contemplate the long history of Bourghiba Mausoleum, then take in the spiritual surroundings of Grande Mosque, then contemplate the long history of Medina of Sousse, and finally take in the exciting artwork at Magiceye Sousse. For maps, where to stay, and more tourist information, go to the Sousse trip planning website . Traveling by combination of flight and train from Djerba Island to Sousse takes 5.5 hours. Alternatively, you can drive; or do a combination of taxi and train. In June, plan for daily highs up to 34°C, and evening lows to 24°C. Wrap up your sightseeing on the 8th (Sat) to allow time to drive to Tunis. 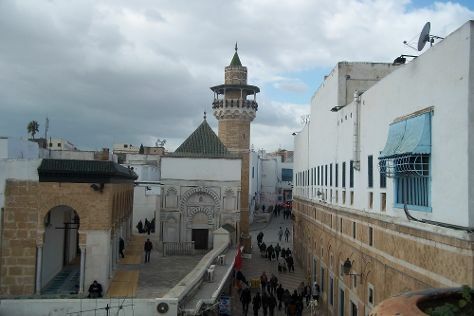 Deepen your sense of the past at sights like Medina of Tunis and Zitouna Mosque. Get some cultural insight at Yasmin Hammamet and Ancient Roman Baths. Explore Tunis' surroundings by going to Hammamet (Hammamet Beach & Medina of Hammamet). There's still lots to do: examine the collection at Bardo Museum, admire the striking features of The doors of the medina, explore the ancient world of Carthaginian Ruins, and take in the spiritual surroundings of Cathedral of St. Vincent de Paul. For reviews, ratings, traveler tips, and other tourist information, you can read our Tunis trip builder tool . Traveling by car from Sousse to Tunis takes 2 hours. Alternatively, you can take a train; or take a bus. June in Tunis sees daily highs of 36°C and lows of 22°C at night. Finish up your sightseeing early on the 11th (Tue) so you can travel back home.